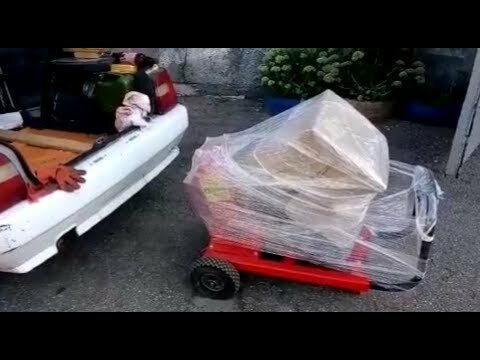 Engine min. 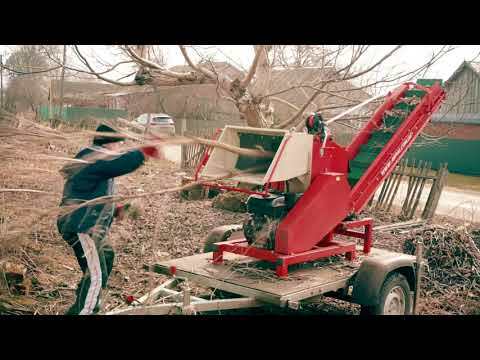 power: 80 h.p. 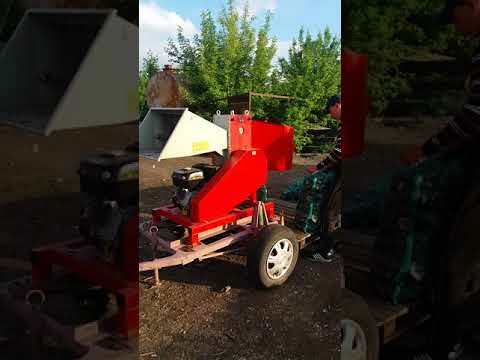 Engine min. 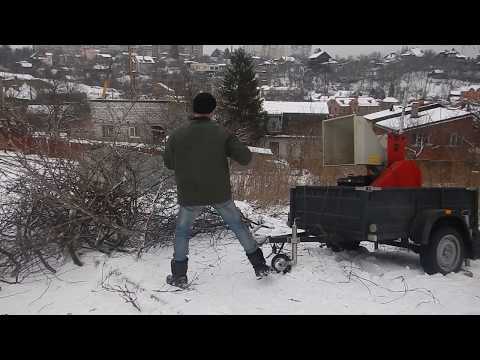 power: 25 h.p. 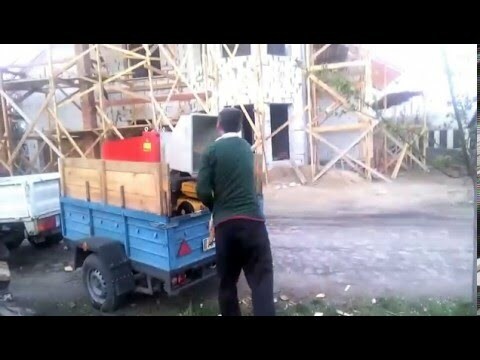 Engine min. 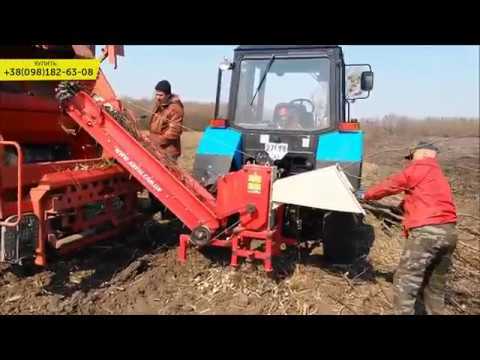 power: 16 h.p. 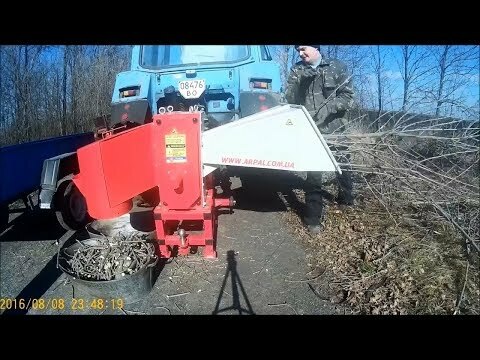 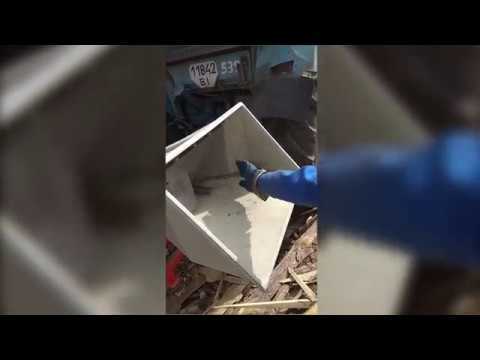 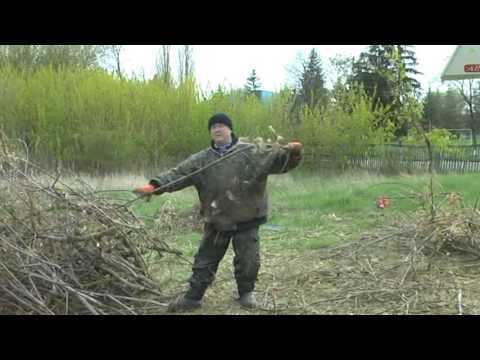 Wood chippers recycle wood waste (branches, lamellas, rails etc.) 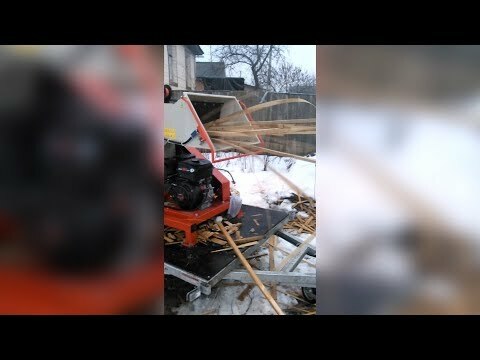 by cutting it. 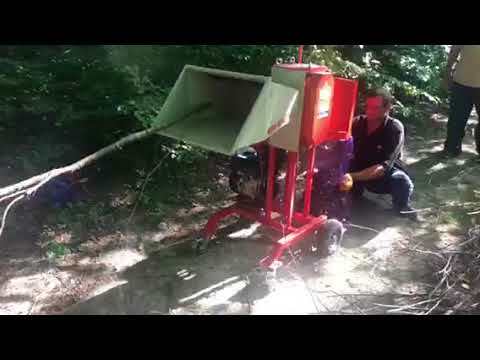 Chippers for branches turn raw materials into pieces with an average length of 10 cm. 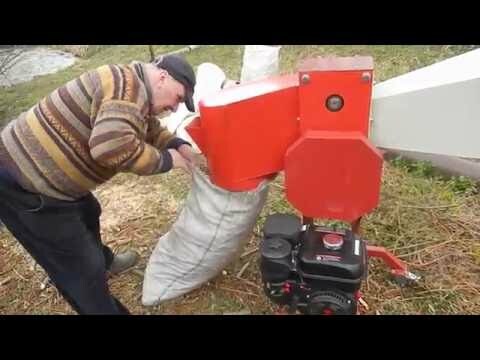 Such products are ideal fuel for solid fuel and pyrolysis boilers, fireplaces, stoves and other heating appliances. 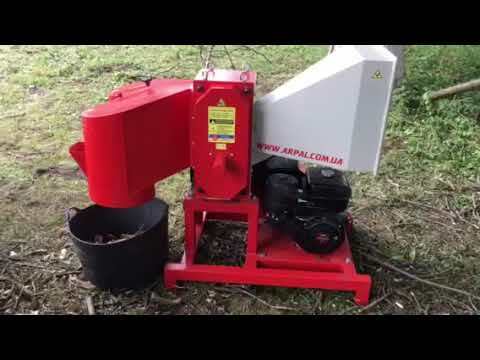 Also, firewood produced with the help of a wood chipper can be used as raw material for the production of charcoal. 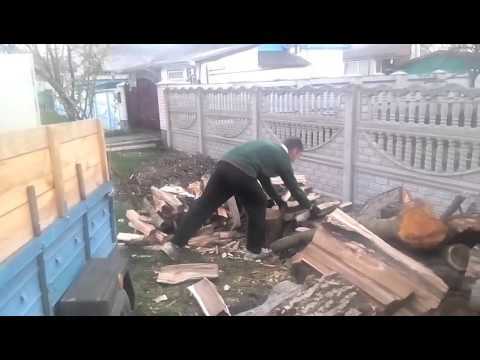 Due to the size of the fraction, this firewood is perfectly stored and do not require special care or drying. 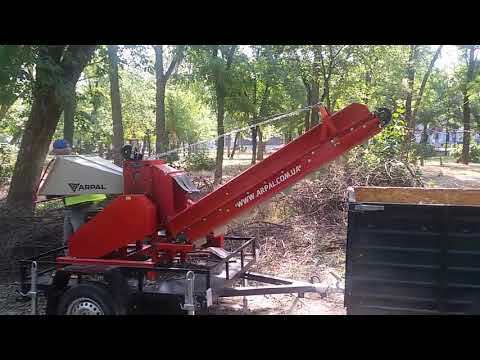 The working body of the wood chipper is the cutting module. 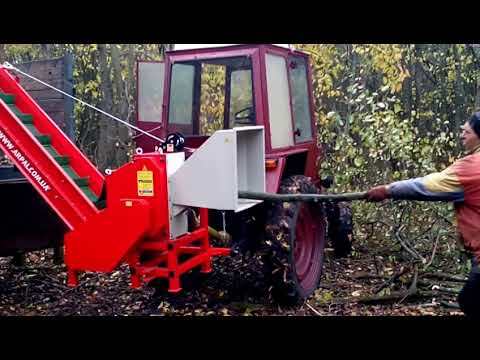 The cutting module of the branch chipper consists of two plates between which the shafts are fixed. 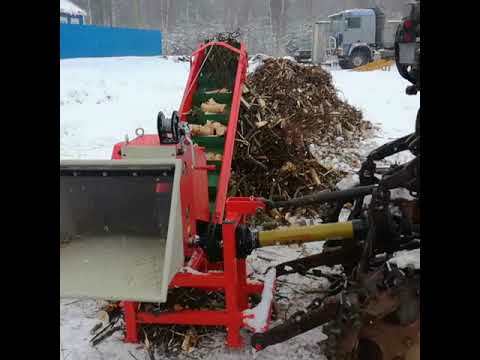 Shafts of the chipper of branches are connected with each other by gears, which transfer force from the engine through a power shaft to working shafts of a mill crusher. 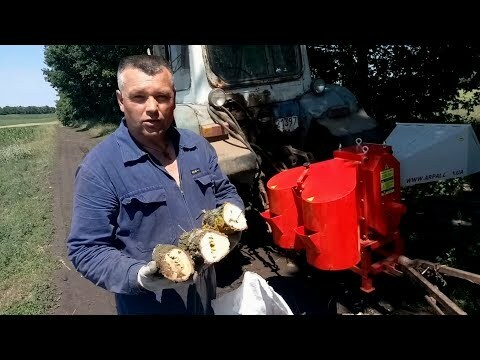 On each of the working shafts there are three knives. 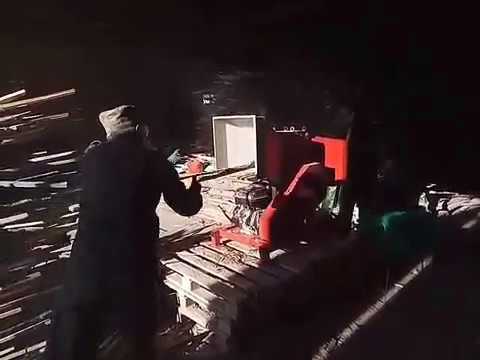 During the operation of the engine, the working shafts rotate in opposite directions, thereby tightening and simultaneously cutting the supplied raw materials. 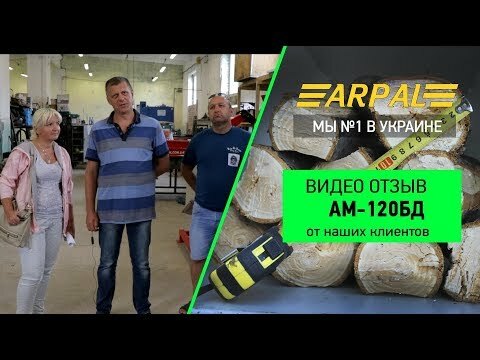 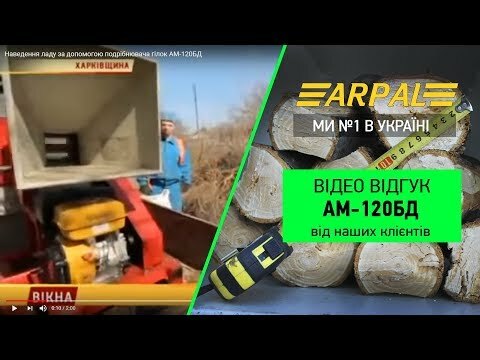 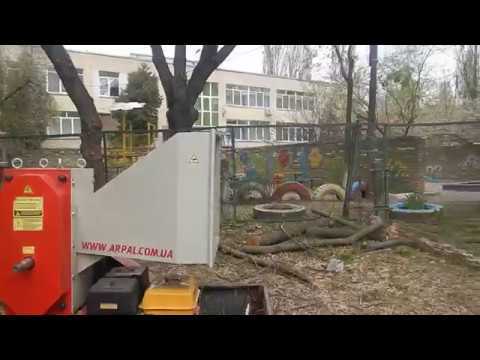 Chippers can be used by: public utilities, farms, forestry, arborists, woodworking enterprises, village and city councils, etc.Crushers for branches produced by Arpal are able to produce up to 12 cubic meters of finished products per hour. 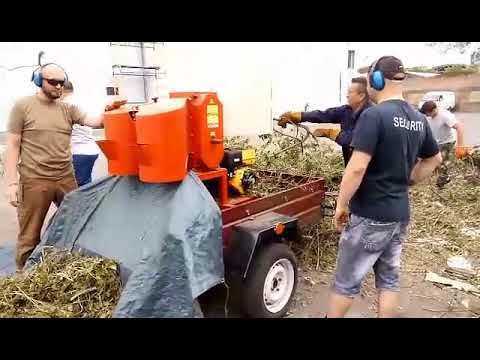 The productivity of a wood chipper directly depends on the quality of raw material preparation and the number of working personnel. 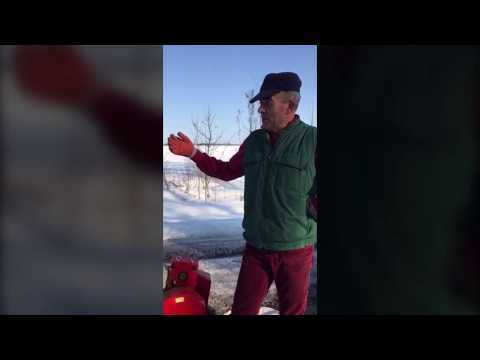 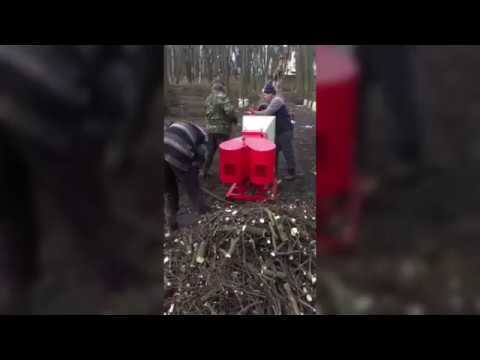 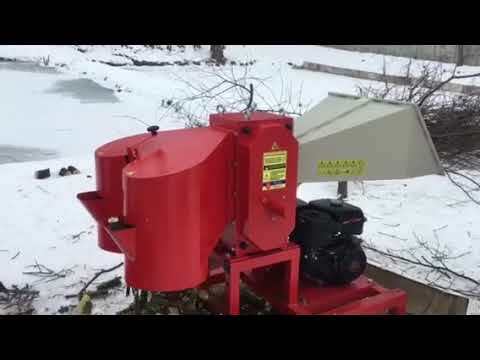 Wood chippers are made with three types of drive. 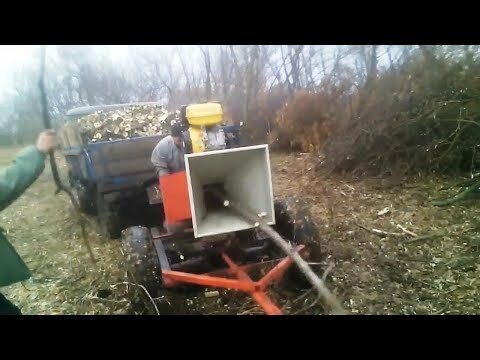 We produce woodcutters of such types of drive: gasoline, electric and driven by PTO tractor. 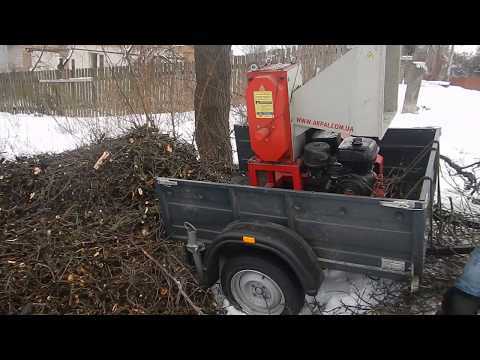 On the chipper of branches with a gasoline drive we install gasoline engines of the brand WEIMA with a capacity of 7, 16 and 18 horsepower. 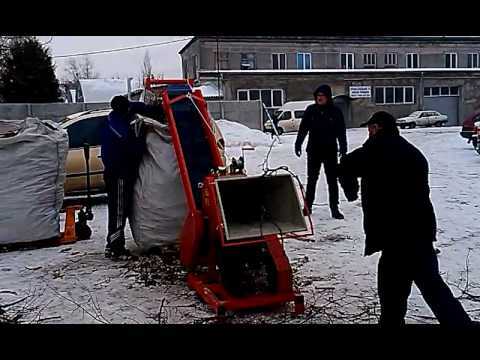 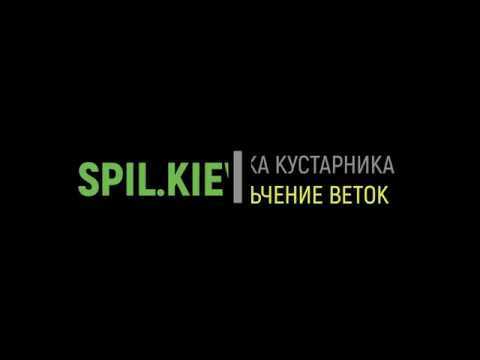 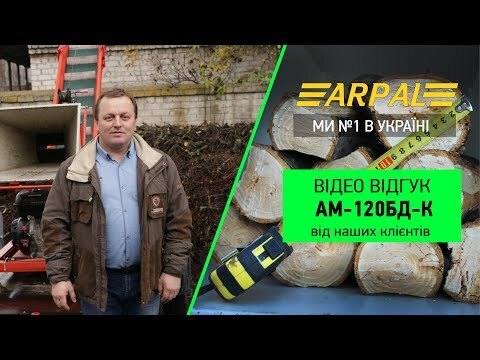 These engines are of high quality and good service in Ukraine. 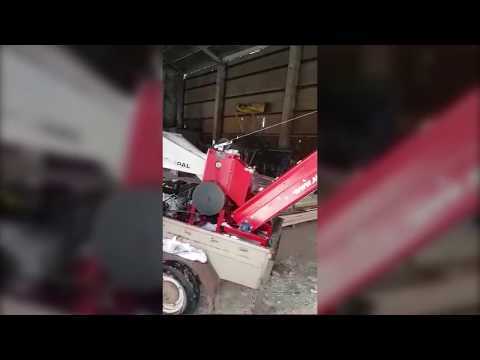 On all the petrol engines of our choppers we install special protective clutches that protect the engine and the wood chipper from critical loads. 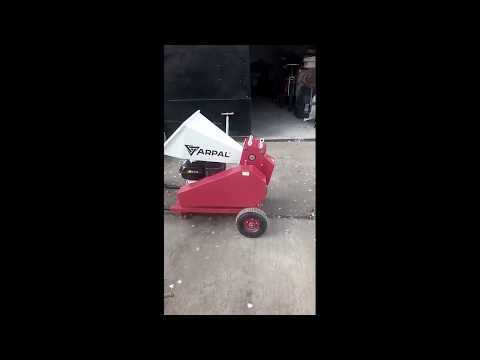 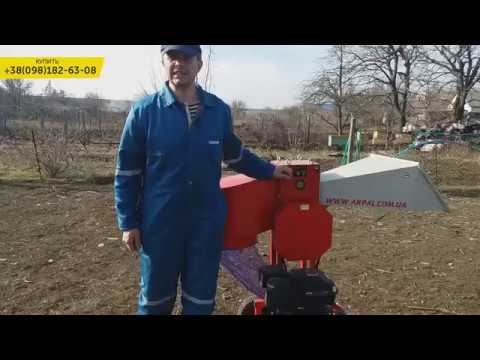 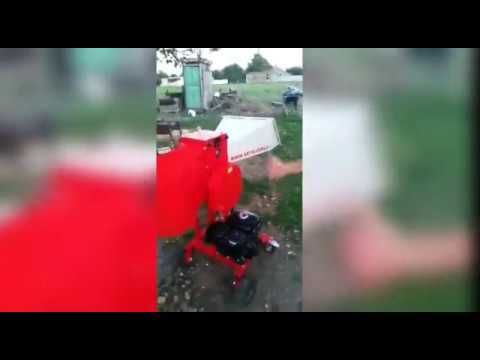 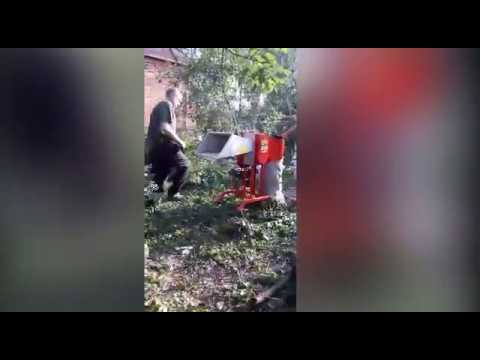 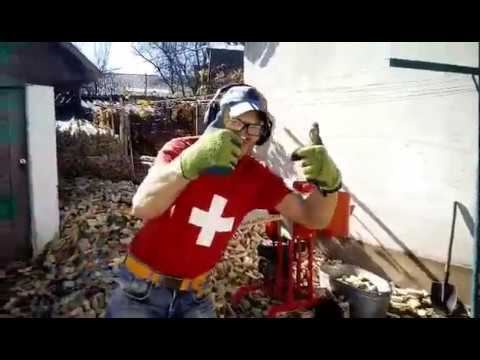 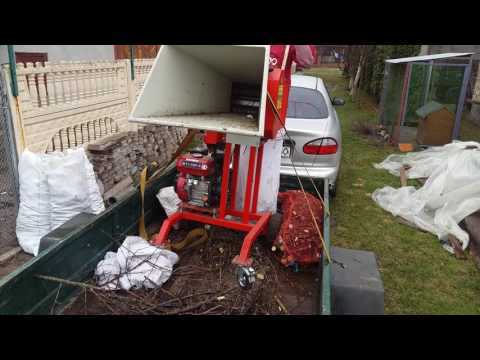 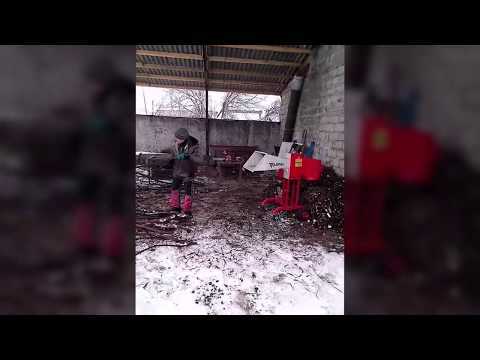 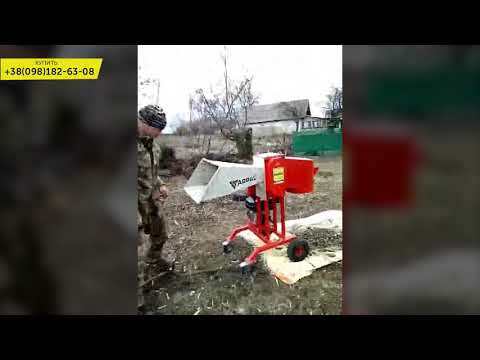 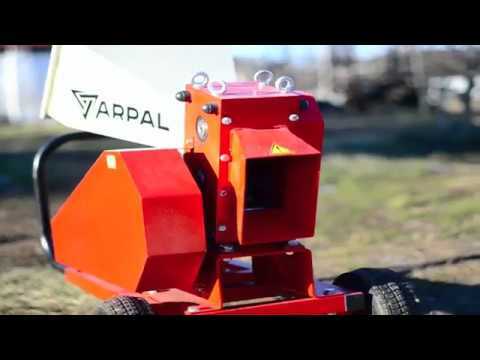 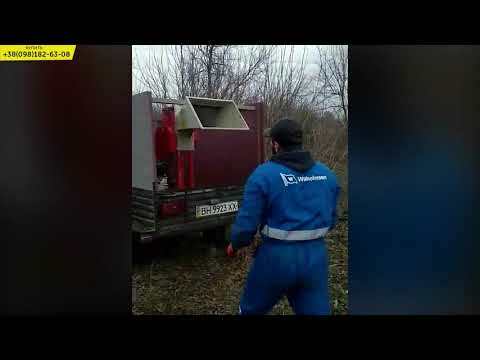 We use electric motors with power of 4, 11 and 18 kW for wood chippers with electric drive. 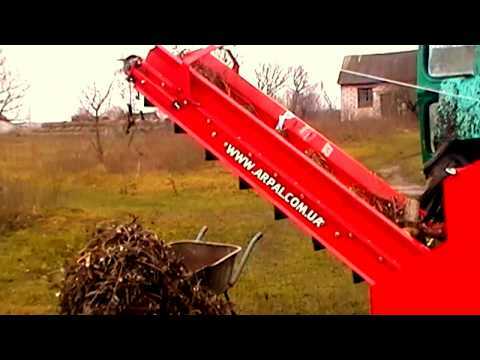 Machines for chipping branches have two methods of unloading finished products. 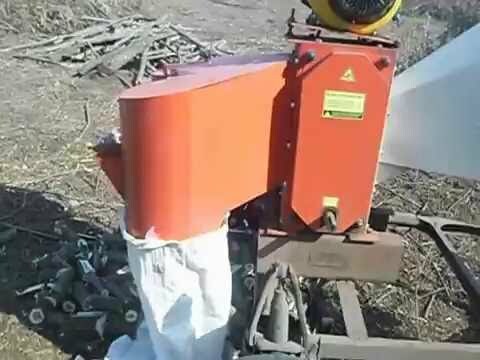 The first method involves getting the product into the output hopper, which allows you to pack the firewood into the sack. 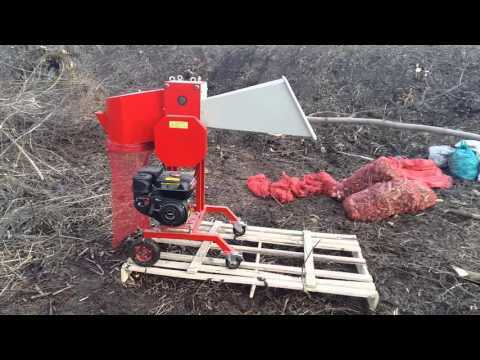 Sack size 50x80 cm is suitable for our wood chippers. 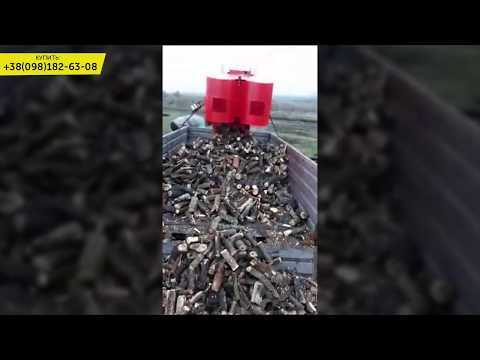 The second method of unloading involves chopping the chopped branches into chopper conveyors, which allows you to send ready-made wood directly to the truck body or to a special container (big bag type). 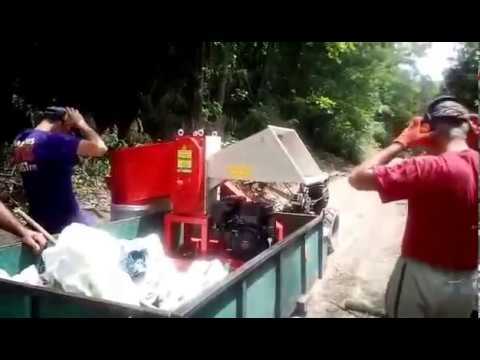 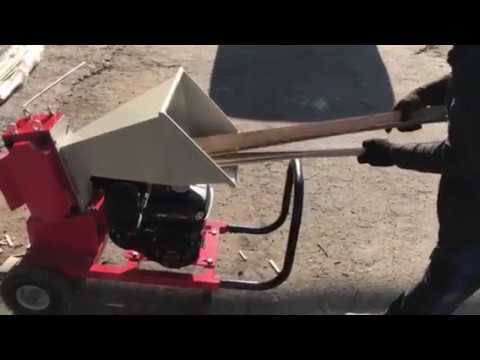 The wood chippers can be mobile or stationary. 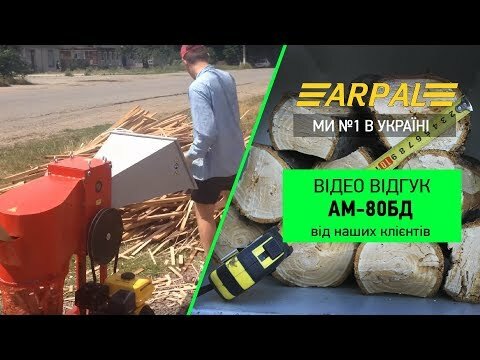 For example, the use of machines for cutting timber on the basis of a car trailer allows you to transport the unit directly to the place of work, which significantly saves costs for transportation of material.We thought over the security system when working with chippers, so all the incoming hopper bins are made in such a way that the operator cannot physically reach the cutting elements of the crushers for the branches. 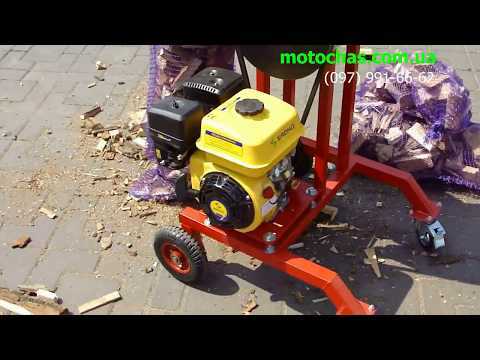 In addition, some models are equipped with a special handle when you press on which the wood chipper is switched off. 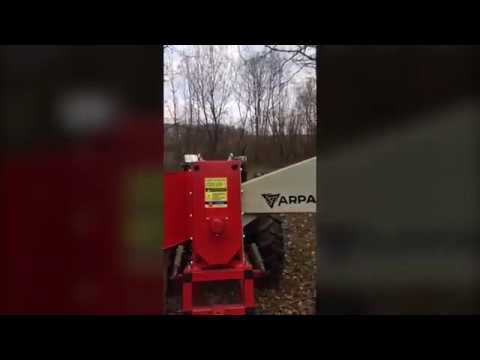 Inside the incoming hopper there are transparent PVC shades that are designed to protect the operator from chips while working with the machine for crushing branches.The quality of the wood chippers is our main priority in the production process. 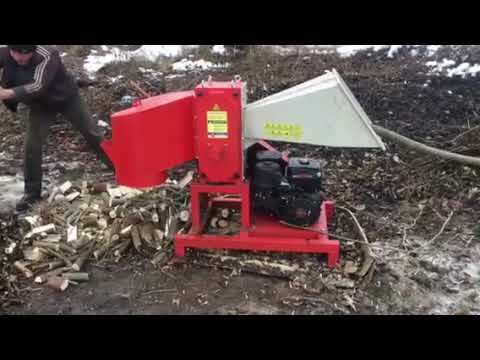 Therefore, we perform full control at each stage of our branch chippers production. 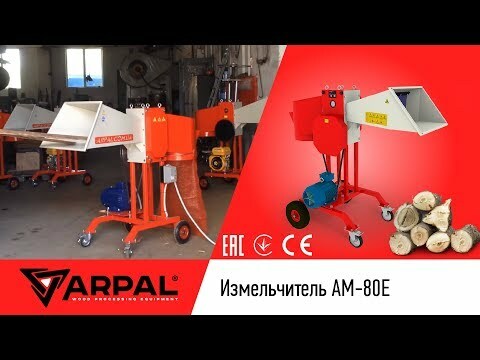 Metalworking is performed on modern machines equipped with CNC systems, all the landing surfaces of the chippers of the branches undergo the grinding process, the chippers are covered with powder paint. 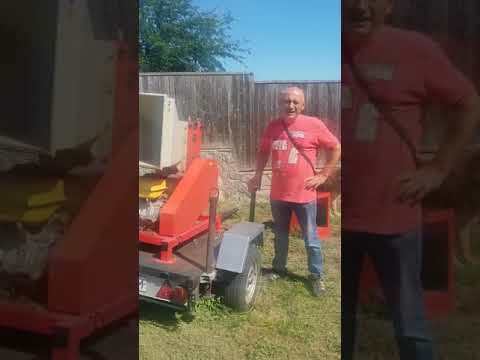 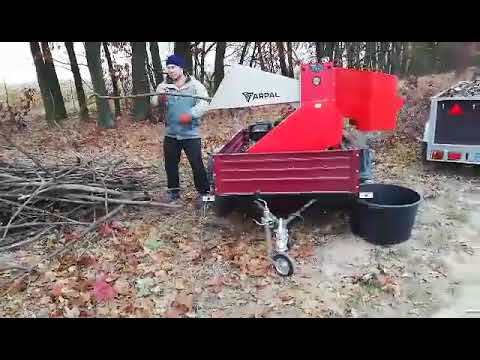 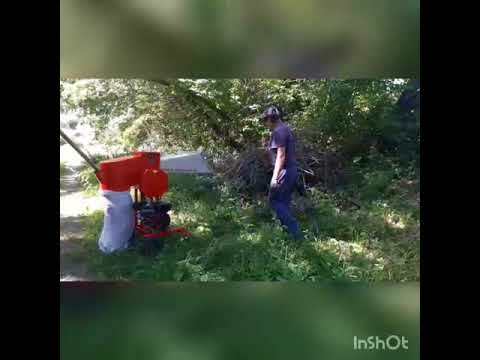 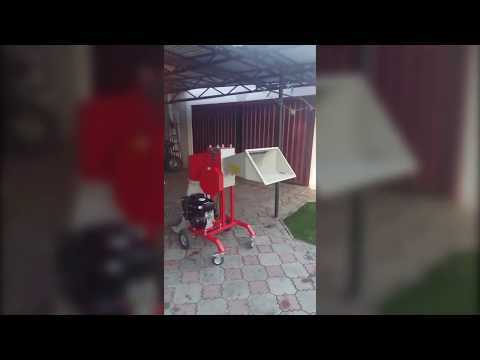 The wood chippers are designed to simplify and make the method of processing branches and other wood waste more accessible in order to reduce the use of gas and other natural resources.By purchasing a wood chipper you get a reliable assistant on the way to your energy independence!